Is it normal to sleep during yoga? Being someone who has the tendency to fall asleep when not doing something of a certain engagement level can create a fair few problems. Dozing off during class comes across as disrespectful and uninterested although this is not the case for me! I’ve faced this issue from as early on in my life as I can remember. Maybe it’s a combination of growing up in an era where media is causing attention span to decrease, maybe it’s a genetic disorder, I don’t know. It is close to the end of the 200 hour Yoga Teacher Training course and I have fallen asleep during Shavasana almost after the end of each practical class. I have also fallen asleep while holding various sitting and supine poses. So I research about whether it is normal to sleep during yoga and it is completely normal! (Phew.) It also shows that you are in a state of relaxation, a goal of yoga practice. However, if like me, you would like to not fall asleep during yoga, here are some recommended poses. Besides these poses, I feel like inversions also help me to feel more awake. Although I still sleep in class, I don’t think that this is an issue that can be resolved overnight and other measures need to be taken as well. First and foremost, ample sleep. 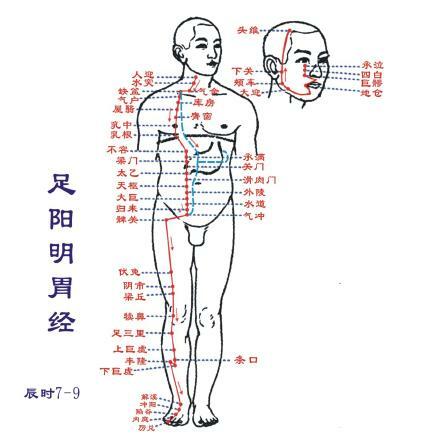 Secondly, a classmate of mine who practices qigong shared with me her knowledge regarding pressure points, saying that pressing firmly onto certain pressure points on my body would aid with my blood circulation and hopefully help me stay awake during class. This is similar to the concept of chakras that we are taught in yoga. Apologies to my non-Mandarin reading friends but I’m sure a quick Google check can provide you with information! Any points showed on the red and blue lines pressed during 7 to 9 in the morning would be the most effective. There are three indentations at the back of our head, those are also pressure points that are easily accessible to be pressed by ourselves to help relieve fatigue. Yoga is about going with the flow and not fighting our body’s desires and signals. Do note that sleep and yogic sleep (aka yoga nidra) is different. Yoga evaluates the overall state of the mind and body by the relative proportion of three inherent qualities: Sattva, Rajas, and Tamas. Sattva is associated with calm awareness. Rajas is the principle of movement and activity. When out of balance, it can lead us off on mental tangents and manifest in the body as twitches and jerks. Tamas is the force of gravity and gives a sense of groundedness. In excess, it can be felt as a restrictive heaviness, dragging the conscious mind into sleep. Falling asleep during relaxation practices is usually a sign that the quality of tamas is excessive or the quality of rajas is deficient. The practice of systematic relaxation requires a balance between rajas and tamas so that we are grounded and comfortably present in the body, but at the same time alert and mentally attentive. When both conditions are present, our consciousness can rest in sattvic self-awareness. This Sattvic self-awareness can be achieved through yoga nidra, a state of consciousness between waking and sleeping that occurs during the stage where we enter deep sleep. The yogic goal of both paths, deep relaxation (yoga nidra) and meditation are the same, a state of meditative consciousness called samadhi. I hope my post has been reassuring and informative to those who face the same problem as I do!